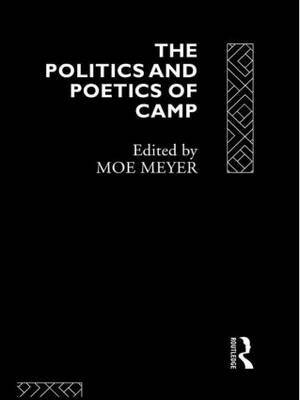 The Politics and Poetics of Camp is a radical reappraisal of the meaning and discourse of camp. The contributors look at both the meaning and the uses of camp performance, and ask: is camp a style, or a witty but nonetheless powerful cultural critique? The essays investigate camp from its early formations in the seventeenth and eighteenth century to its present manifestations in queer theatre and literature. They also take a fascinating look at the complex relationship between queer discourse and decidedly un-queer pop culture appropriations on film and on the stage. The Politics and Poetics of Camp is an incisive, uncontainable and entertaining collection of essays by some of the foremost critics working in queer theory, from a number of disciplinary perspectives. This book makes a well-timed intervention into an emerging debate.